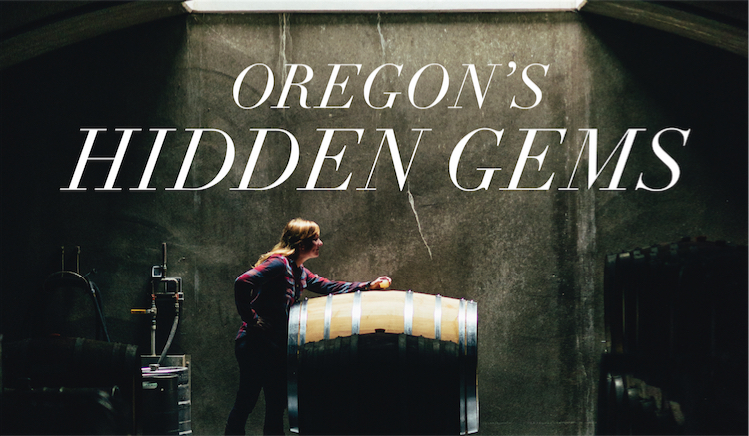 With more than 700 wineries in Oregon, there are plenty of hidden gems to be discovered. The question becomes, what kind of wine experience are you looking for? Do you want to be educated or romanced? Do you want the way you think about wine to be challenged, or do you simply want to put your feet up at the next up-and-coming winery before everyone else hears about it? Whatever your personal palate, we’ve searched the back roads (and a couple main drags) to bring you some lesser-known stops on the well-traveled wine routes of Oregon. Pinot noir reigns supreme in the Willamette Valley, but there’s more to Oregon wine than this Burgundian beauty. Down Jacksonville way sits Cricket Hill Vineyard & Winery. From its 26-year-old vineyard site, visitors will taste the nuances of the Right Bank of Bordeaux. Crafted predominantly from cabernet franc and merlot, these blends strike a balance between drinkability and ageability at a pocket-friendly price point. While in Southern Oregon, check out Kriselle Cellars and Wooldridge Creek Winery. Kriselle’s focus on complex and hearty cabernet sauvignon and tempranillo pairs perfectly with the wood-fired pizzas offered on weekends, while the daily small bites menu enhances the opulent notes found in the estate viognier and sauvignon blanc. Barrel-fermented chardonnay and a full-bodied red blend of syrah, malbec, zinfandel and merlot aren’t all that meet visitors at Wooldridge Creek (although that would be reason enough to visit). On-site CrushPad Creamery showcases the talents of co-owner Kara Olmo as she crafts artisanal cheeses and charcuterie specifically created to elevate the wine-tasting experience. Located in the Ribbon Ridge AVA of the Willamette Valley, it’s not surprising Utopia has racked up an impressive list of awards for its estate pinot noir and chardonnay. 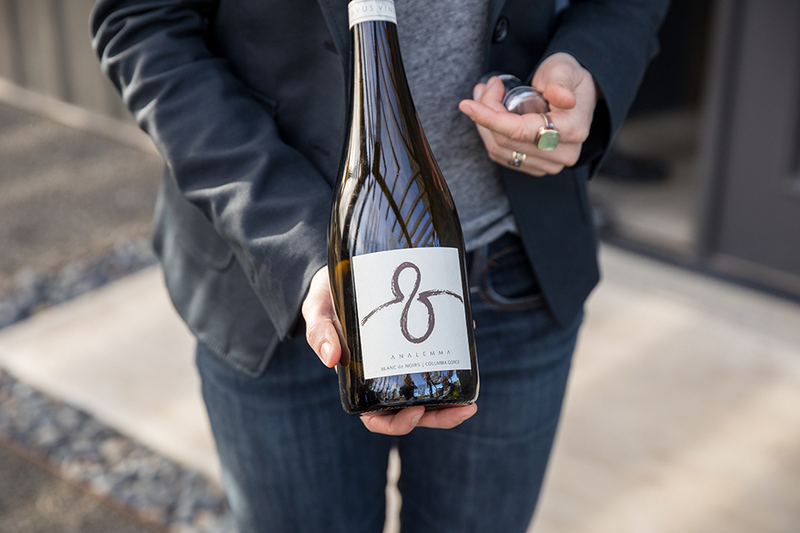 Guests, however, will also have a chance to taste a quaffable viognier, a red fruit-forward grenache sourced from the Rogue Valley and a GSM blend while passing time on one of two competition bocce ball courts. Down the road a spell in Yamhill sits Roots, a hip spot with a cocktail table Pac-Man machine in the tasting room. 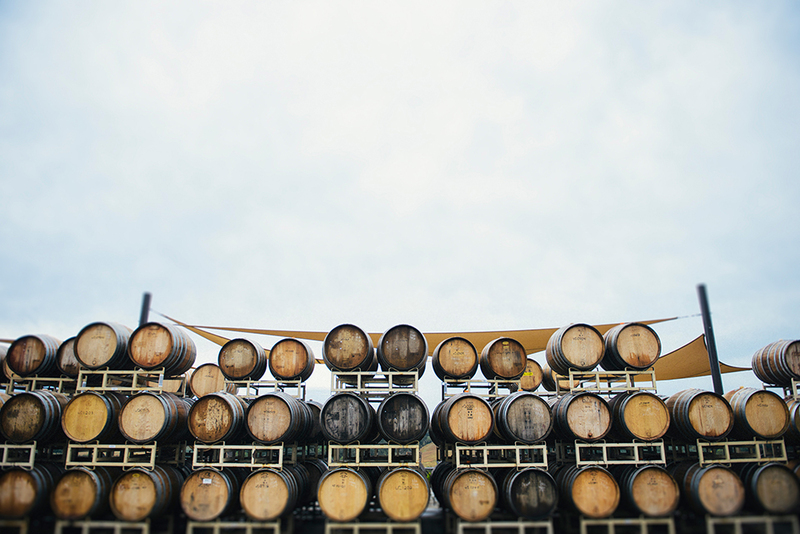 The Roots Barrel Project takes this pinot-noir focused winery in a new direction with long-aged tempranillo, grenache, cabernet sauvignon and chardonnay—in barrel up to sixty-seven months. Be sure to try the seafood-friendly Melon de Bourgogne, a crisp and rare white for the area. Roots, in Yamhill, is making wines not often seen in Oregon. Kriselle’s tasting room offers wood-fired pizzas on weekends. Grape-picking at Wooldridge Creek Winery in Southern Oregon. CrushPad Creamery at Wooldridge Creek offers charcuterie plates. It’s a quintessential wine country scene—tree-lined roads that give way to vine-draped hillsides topped with elaborate chateaus, villas or country manor homes. While elaborate exteriors don’t necessarily guarantee beauty in the bottle, Fairsing Vineyard doesn’t disappoint on either count. A labyrinth of stone embedded in the front lawn nods to the vineyard owners’ Irish heritage, and nearly two dozen kestrel and screech owl nesting boxes encourage the birds to make the surrounding 80-acre estate forest home. At nearby Saffron Fields, a Japanese garden was designed by the same man responsible for the Portland Japanese Garden and floor-to-ceiling windows in the tasting room invite the harmony and tranquility of the garden inside, regardless of the season. Its 2013 Yamhill-Carlton pinot noir is an engaging expression of black fruit, baking spices and finessed tannins. At the end of the Oregon Trail in Oregon City, wine lovers will be transported with a taste of Europe. Villa Catalana Cellars is a small winery also home to the owners’ first business, Rare Plant Research, and their passion for exotic plants collected over extensive travels is anchored by a stone building inspired by a twelfth-century church in Catalonia, Spain. Expansive gardens and ponds cover what was once a hay field, and a monthly gourmet lunch brings people together over family-style tables. Wise wineries located in the Columbia River Gorge take advantage of this national scenic site, and Analemma Wines is no exception. This sparkling wine house has loveseats positioned at the top of the vineyard and guests can take a picnic basket filled with charcuterie, cheeses, wine, binoculars and more for a true pop-the-question moment or just a breezy way to pass a Sunday afternoon (less pressure). Villa Catalana Cellars features extensive gardens. At Saffron Fields, Japanese landscaping makes the space special. Fairsing Vineyard has a labyrinth on site. Villa Catalana is inspired by twelfth-century Spanish architecture. Visit enough wineries in Oregon and the running theme of responsible farming practices is quickly noted. Located in Dallas, Illahe Vineyards celebrates sustainable winemaking in a way unrivaled even in this environmentally conscious state. The winery employs two draft horses, a hand-cranked destemmer, a wooden basket press and a bicycle-powered pump to make the wines using no electricity. Then the boutique wine is, of course, hand-labeled. The culmination of these efforts is a three-day, 96-mile journey to Portland which employs canoes, a mule-drawn stagecoach and bicycles to bring in the newest vintage. 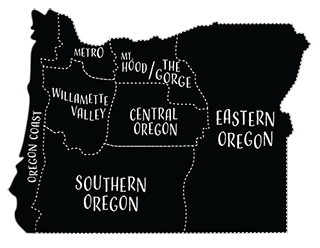 In Southern Oregon are Wild Wines, Troon Vineyard and Cowhorn Vineyard. Wines of a different kind are found at Wild Wines and follow the concept of in-season harvesting from raspberry to aronia and peach to elderberry. Visitors will savor this fresh lineup inside a straw-bale-constructed tasting room and partake in pizza made from a cob oven. On-site entertainment includes hula hoops (obviously). Foot-treading and employing only native yeasts at Troon Vineyard helps to produce bright acidity in all its Mediterranean-inspired wines. LIVE (Low Input Viticulture & Enology) and Salmon Safe-certified, the vineyard is working toward its biodynamic certification. As the first to produce vermentino in Oregon, the 2014 Troon Black Vermentino is a delicious accompaniment to rich scallops. Cowhorn Vineyard, the first winery in the world to achieve the Living Building Challenge (LBC) Petal Certification, is committed to producing the most terroir-driven wines possible at its Demeter-certified biodynamic winery. Cowhorn adheres to farming techniques like compost teas made from aged organic dairy manure filled in cow horns and buried in the ground; multiple crops growing throughout the property to encourage micronutrients; and creating an environment that promotes a healthy animal habitat. In the Willamette Valley, Left Coast Cellars is also LIVE and Salmon Safe-certified and has a 90 percent solar-powered facility with roof and ground-mounted arrays. The winery employs a gravity-fed irrigation system and, for fun, a 1950 Ford flatbed truck provides guests with rides around the 500 acres. Also in the rain-collecting business, Native Flora harvests 1.3 million gallons of rainwater annually. Because there is no signage to the tasting room, only those in the know have an opportunity to see Babydoll sheep pull double duty as eco-lawnmower and try estate wines like the 2011 “First Time” Estate Pinot Noir, which shows the flavor profile of spiciness, sandalwood and dark cherry for which the Dundee Hills are known. Wild Wines’ tasting room is made from straw bales. Illahe winemaker Brad Ford works in the production facility. Left Coast Cellars is 90 percent solar-powered, thanks to its solar arrays on site. 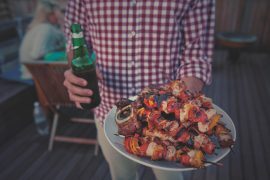 The nuances of some wines can only be taken to their intended heights with the addition of the right cut of meat or wedge of cheese. Hiyu Winery, located in the Columbia Gorge, is on a quest to pour the diversity of its awe-inspiring backyard alongside food it sources from its 30-acre farm. Regular intimate wine dinners are guided by the seasons and what the garden, pastures and waters bring to the kitchen. Courses are paired with Hiyu wines and, occasionally, guest winemakers such as Laura di Collobiano from Tenuta di Valgiano in Tuscany add to the exploration. The culmination of one couple’s dream-come-true to own a piece of France and Oregon can be tasted at a chef-driven experience. Explore the similarities and differences of the wines of Willamette Valley’s Domaine Serene and their Burgundy estate, Château de la Crée, while pairing culinary delicacies thoughtfully chosen by resident chef Jason Kupper in one of the estate’s stunning cave settings. Guests come away from the experience with a greater appreciation of both wine regions. 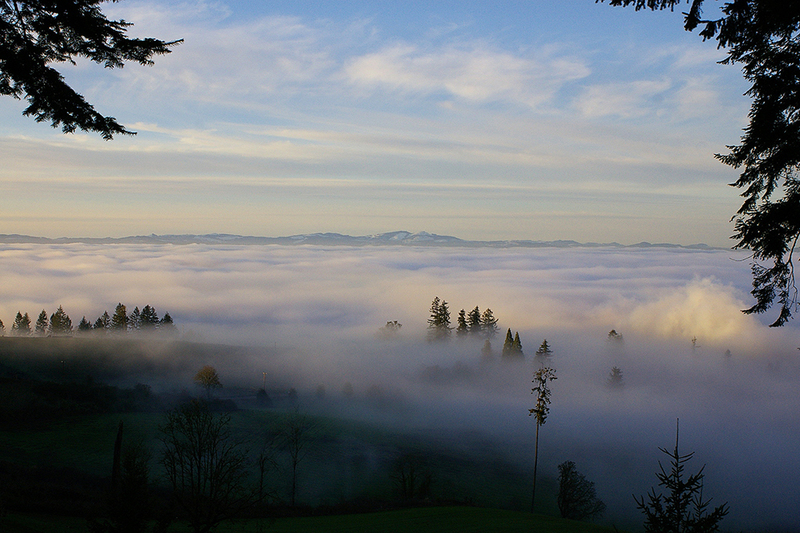 Another biodynamic spot, Soter employs its resources for food and award-winning wines. 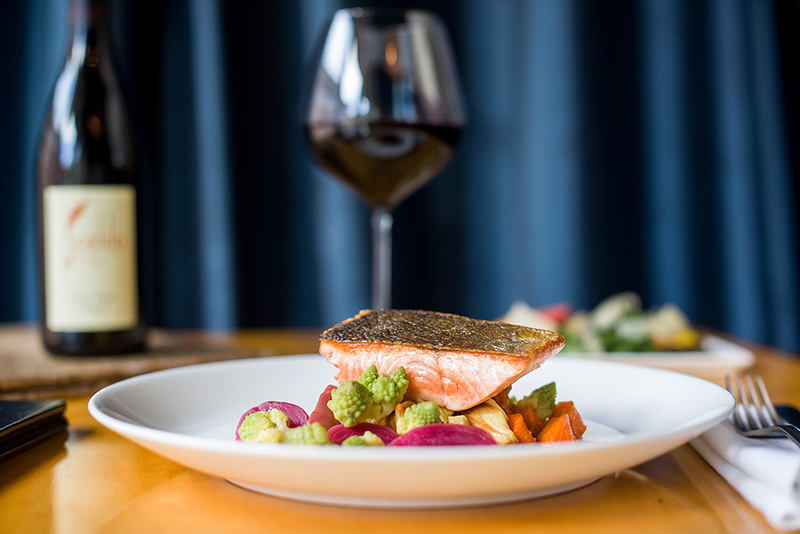 Small plates such as locally sourced hazelnuts, homegrown produce and homemade pastas are crafted by an in-house chef with a palate focused on the layered site characteristics that define Soter in a sea of Willamette Valley wineries. Soter offers homemade pasta and other locally sourced food. 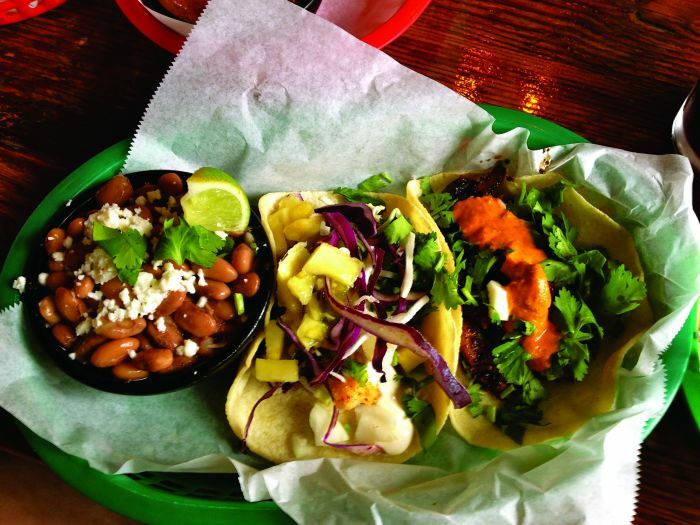 Can a hidden gem be found in a city of more than 640,000 residents? If the rise of urban wineries has anything to say about it, absolutely. North Portland has been reinventing itself for years and the arrival of Jan-Marc Wine Cellars and its wine bar, GaragistePDX, is yet another discovery in the labyrinth of essential wanderings. Sourcing from the Willamette Valley and the eastern Columbia Gorge, Jan-Marc Wines has the elegance to stand on its own and the backbone to pair with the freshness-of-the-moment small bites menu these chefs by trade collaboratively dream up. Studies show that jazz music improves creativity and mental focus. Case in point—Jason Gersing, winemaker at Gersing Cellars and consummate saxophonist. His sold-out 2016 viognier romances with the rhythmic notes of a sultry trumpet while his 2015 Cabernet Sauvignon opens with the tremolo of a Hammond organ and finishes with the rich vibrato of an upright bass. Housed within the SE Wine Collective, Gersing is one of a dozen member wineries using the state-of-the-art winemaking equipment found in this unique space. Teutonic Wines was born out of a long-standing romance with the wines of the Mosel Valley. Lured in by their expressive, 100 percent pinot meunier, guests get schooled in the depth and breadth of an oft-underappreciated riesling. From bone-dry to dessert style, Barnaby and Olga Tuttle showcase the riesling spectrum in a 5,000-square-foot working winery that offers Nordic-inspired treats such as cheese fondue, oysters on the half shell and pickled mackerel. Barnaby Tuttle of Teutonic Wines provides Nordic snacks and riesling. GaragistePDX in North Portland is urban excellence. Jason Gersing, of Gersing Cellars, is in the SE Wine Collective. Gersing’s red wines are made with state-of-the-art equipment. 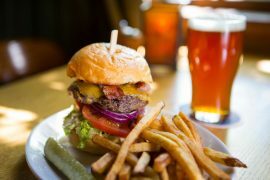 When all that wine threatens to derail your day, stop in at one of these spots for some of the best food in the region. Here are some of our recommendations for the best bottles at these off-the-beaten-path wineries, from steals to splurges.